Not Another Supplement? New Holistic Paradigms! Russell, has studied holistic health and spirituality for over 30 years and lived a holistic lifestyle for over 57 years. He specializes in integrating his scientific background with his knowledge of health, to holistically help both people and pets. His greatest talent is being able to cut through all the marketing hype using his scientific background to tell people what is truly holistic. Today, we will talk about his upcoming e-Book, Not Another Supplement? New Holistic Paradigms! So, Russell, the title of today’s show is, Not Another Supplement? New Holistic Paradigms! What do you mean by that title? Wendy, holistic remedies have gone mainstream. There are vitamins, herbs and all kinds of supplements selling at Walgreens, K-Mart and local grocery stores. People are demanding holistic options for themselves and their pets. But based on my 57+ years of holistic living experience, I feel 90-95% of these isolated supplements are not entirely holistic. So, my goal is to introduce and educate people on the next holistic paradigm. Wow, you feel 90-95% of supplements are not entirely holistic. You had better explain that to my listeners. Sure, Wendy. First let me give your listeners my definition of what is allopathic or Western medical treatment. If one has a hypothyroid condition (thyroid functioning too low), then a doctor would prescribe a red thyroid pill to make the thyroid values higher. But if one had a hyperthyroid condition (thyroid values too high), then the doctor would probably prescribe a blue thyroid pill to bring the thyroid values down. The treatment is predicated on the exact values of a lab test and the symptoms are matched to a specific pill. Now if the adrenal gland is also imbalanced, the doctor would probably prescribe a different pill specifically for the adrenal glands. In other words, allopathically they are simply treating one gland, one organ or one symptom (whether too low or too high) and NOT the whole body. OK, so now tell me how that relates to supplements. Many people give an Omega oil supplement to help keep their pet’s skin and coat looking nice. Now ask this question: Would you give this same Omega oil supplement if your pet also had allergies, diabetes, poor digestion, thyroid imbalance (hypo- or hyperthyroid), lipomas (fatty tumors) or an auto-immune disease? If you answered, “No,” or you would give six different supplements for each of the above conditions, then what you are doing is just supplementing the symptoms, like allopathic medicine and not treating the whole body. True holistic products do not just address allergies or diabetes but also nutritionally support the body’s thyroid, adrenal glands, help improve digestion, reduce fatty tumors and can even normalize auto-immune conditions and help prevent seizures. One doesn’t need a dozen different supplements to address each single symptom. OK, so tell me why these supplements are not entirely holistic. Thre are four primary reasons why I think these supplements are not holistic. All right, so explain Reason #1 to me. Supplements are usually formulated to fulfill a single deficiency or purpose. For example, one might give their pet a calcium supplement to fulfill a calcium deficiency, so broken bones would heal faster or to prevent the frail bones of their elderly pet from breaking. Another example is giving a digestive enzyme supplement because your elderly pet is not manufacturing enough digestive enzymes as it ages. Each of these is a single purpose. So why is that not holistic? Let us go back to my definition of being truly holistic, that is to address the WHOLE body and not its individual parts, such as one organ, gland or body system. I do not know why the preceding letter “w” from the root word “whole” got dropped from the word now used as “holistic” but it lost the entire meaning of the root wood “whole” when they did that. So, by giving supplements that address a single organ or body part, one is not boosting and balancing the WHOLE body. Why is addressing the whole body important? Give me an example of why supplements do not fix the original illness. Say a pet’s digestive function is below normal, so one gives a digestive enzyme supplement. The stomach now signals the brain that is has enough digestive enzymes. So the brain stops looking for more raw materials, namely co-enzymes and co-factors, to manufacture its own digestive enzymes. The brain stops sending a signal to the pancreas to produce more digestive enzymes. In essence, one has left a lazy pancreas and made the body dependent on this external enzyme supplement. Well, as the pet ages one is going to have to give more enzymes each year for the same health benefits. The body never gets to see if it can stand on its own to produce more digestive enzymes. This shows their body has an ever increasing dependency on the supplement and the body is not healing from within. Giving them supplements, in some instances, is creating a crutch and therefore, not balancing their whole body. This obviously cost more money. If the pancreas is not producing enough digestive enzymes, perhaps its insulin production is also deficient. Could this lead to diabetes in the future? Do you see all the ramifications of just treating one isolated symptom? Yes, I do now. How can I tell if a supplement is only addressing one organ or body part? Simply ask the question: Would I give this product/supplement to my pet if it also had any of these conditions: allergies, diabetes, poor digestion, thyroid imbalance (hypo- or hyperthyroid), lipomas (fatty tumors) or an auto-immune disease? If you answered, “No,” or you would give six different supplements for each of the above conditions, then what you are doing is just supplementing the symptoms and not taking a whole food product that would activate the body’s own natural ability to heal. Any other questions my listeners should be asking? Another question to ask is, if one discontinues the supplement will the symptoms come back? If the symptoms come back, then one has created a dependency on the supplement rather than holistically activating the body’s own natural ability to heal. Yes, I have experience that too? The problem is the original cause of the symptom or disease is never addressed. You see the organ, gland or body part exhibiting the symptom is rarely the cause of the original health condition. Now your fourth reason for saying most supplements are not holistic is that they have side effects. Tell me more about that. Sure Wendy. Most people do not know this but one of the side effects of high therapeutic doses of glucosamine is that it may impair insulin secretion through competitive inhibition of glucokinase in pancreatic beta cells and affect glucose uptake. My source for this fact is the Physicians Desk Reference for Non-Prescription Drugs & Supplements. What all that means is patients with diabetes should be cautious, since glucosamine may affect insulin sensitivity or glucose tolerance. You see, by allopathically treating just the joints, one could be affecting the pancreas and insulin sensitivity. Think how many pets are given a high therapeutic dosage of glucosamine for joint problems and also have diabetes? Now don’t get me wrong, Wendy. I am not saying all allopathic or Western medical treatment is bad. One simply needs to take into consideration the whole picture and holistically address the whole body and not just the joints, pancreas, digestion, etc. I like to use holistic methods in conjunction with Western medicine to get the best of both worlds. I think that is important to let our listeners know you always suggest they take their pet to a vet for proper veterinary diagnosis. But then they can also research holistic alternatives. Can you summarize all the questions my listeners should ask when looking for a good holistic product? Does this supplement fill a single deficiency or fulfill a single purpose or does it address the whole body? Will this supplement address the cause of the original symptom or illness? Will this supplement make the body dependent on this external supply of nutrition or can I discontinue the product and not have the symptoms come back? Unfortunately, a lot of this information is not available from the supplement manufacturers but must be researched from independent resources, such as Optimum Choices. Tell me more about your dog massage e-Book. My wife, Margaret, wrote this e-Book. 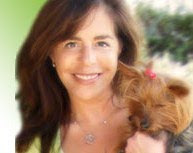 She writes about the ins and outs of pursuing a career in dog massage including training and certification requirements, legal considerations, schools offering training, finding your personal style of practice, obstacles to building a practice and marketing tips. Another way to get a free e-Book is to make a donation to Michael Rigby's ONE-WISH Pledge Campaign at http://www.one-wish.co.uk/. I will give the first five listners who make a donation a FREE Holistic Choices e-Book of their choice. Just e-mail Optimum Choices the donation receipt at info@OptimumChoices.com with a subject line, "Donation receipt from Mike's ONE-WISH Pledge campaign" and the title of the e-Book they would like. This is very important—they must mention the title of the e-Book they want free. Your fourth e-Book was the subject of today’s show. When will it be coming out? Our fourth e-Book will be entitled New Holistic Paradigms! We are still accumulating many holistic topics that our clients are demanding we include and researching all our answers. We do not have a release date yet but I will be sure to keep you informed. For more information on Optimum Choices and holistic options for your pet, go to Russell’s website at www.OptimumChoices.com. You can call toll-free 866-305-2306 or e-mail them at info@OptimumChoices.com.